Random.org is an interesting website to visit and it may prove useful in several different ways in the classroom. 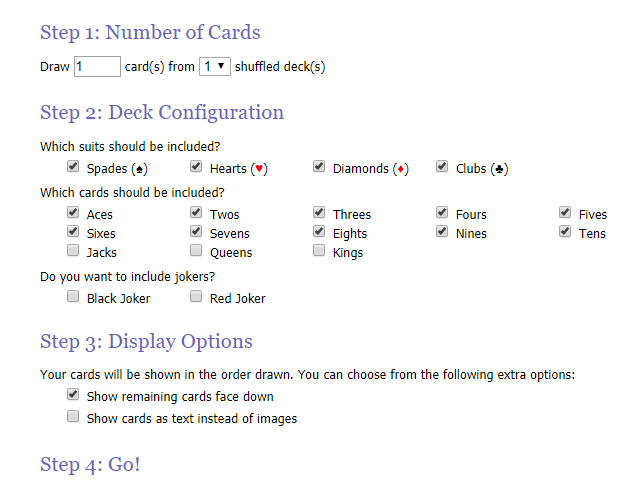 I looked at the Playing Card Shuffler and could easily see uses for this in mental maths games done on the whiteboard. Tell it to leave out jacks queens and kings – also all suits but one if you wish. Tell it how many cards you want and it will generate a set of random cards of numbers between one and ten. All you have to do it decide which discipline you want children to practice! 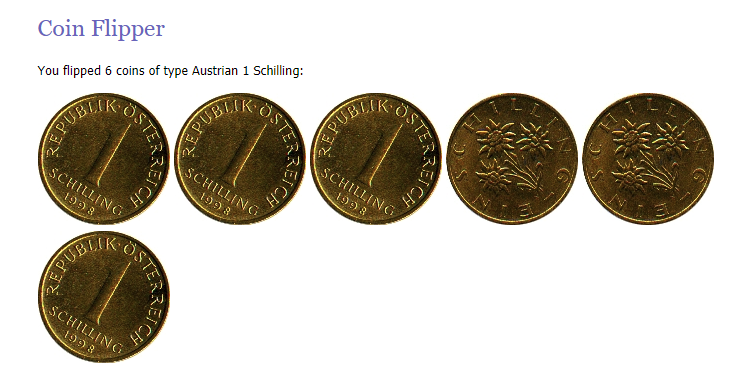 The Coin Flipper for games of heads and tails probability exercises. 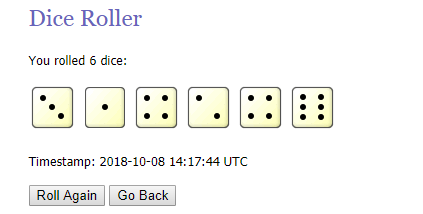 The Dice Roller – either one die or loads of dice depending on what is needed. Naace also has a random number generator web page. Numeracy Helper has another. These are both web pages not widgets. The Random.org site hosts masses of other stuff which may be useful in secondary school but the few bits covered above are all that is good for the primary age range.